Saint Michael's Golden-Domed Monastery (Михайлівський Золотоверхий монастир; Mykhailivskyi Zolotoverkhyi manastyr). 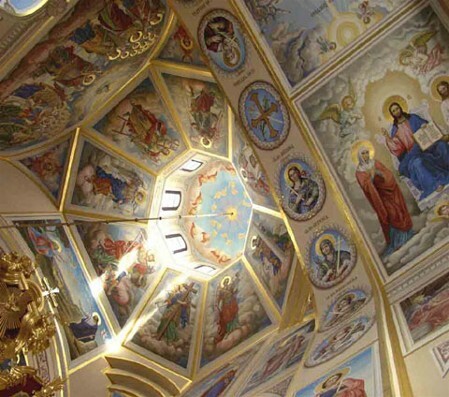 (Photos: Saint Michael's Monastery before demolition; restored Saint Michael's Monastery.) 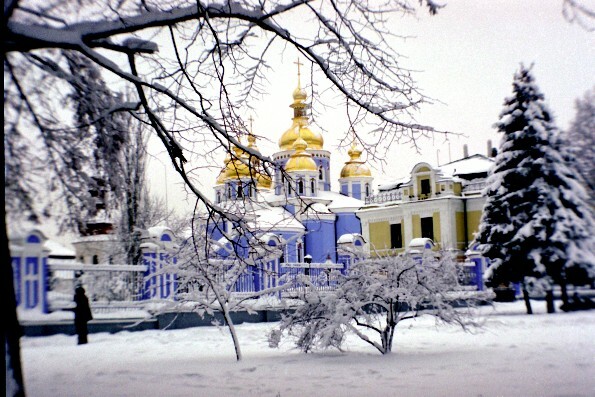 An Orthodox men's monastery in Kyiv. Little is known about its early history. 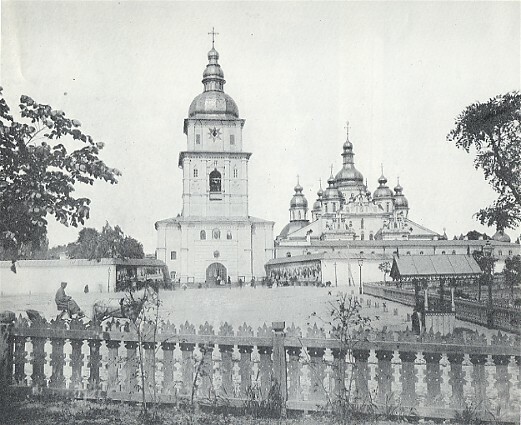 In the 1050s Prince Iziaslav Yaroslavych built Saint Demetrius's Monastery and Church in the old upper city of Kyiv, near Saint Sophia Cathedral. 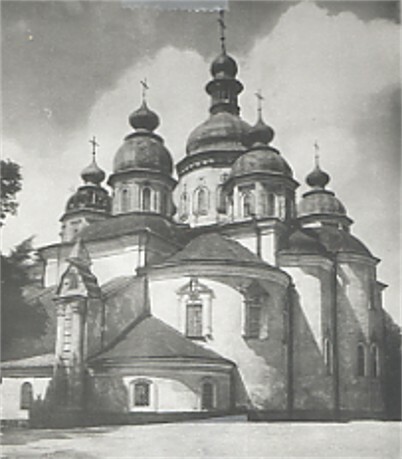 In 1108–13 his son, Sviatopolk II Iziaslavych, built a church at the monastery dedicated to Saint Michael the Archangel. 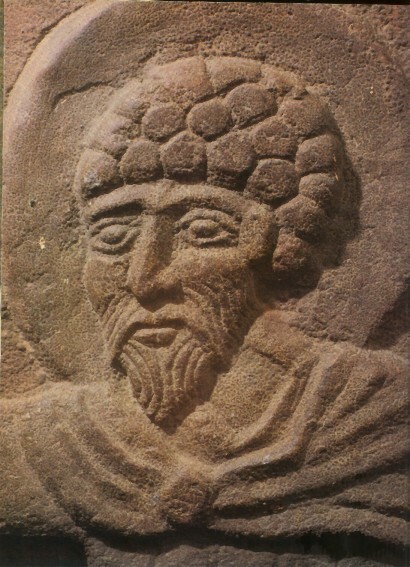 The monastery probably came under the control of the Kyivan Cave Monastery ca 1128; it was mostly destroyed during the Tatar invasion of 1240 and ceased to exist. Written records confirm that the monastery was reopened by 1496. Soon afterward it began to be known as Saint Michael's Golden-Domed Monastery, its name being taken from the church built by Sviatopolk II Iziaslavych (although historians are not certain which church survived the Tatar invasion, Saint Demetrius's or Saint Michael's). 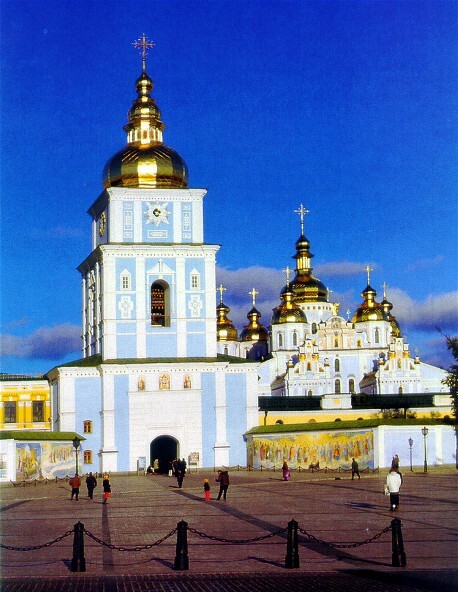 Restored and enlarged over the 16th century, it gradually became one of the most popular and wealthy monasteries in Ukraine. 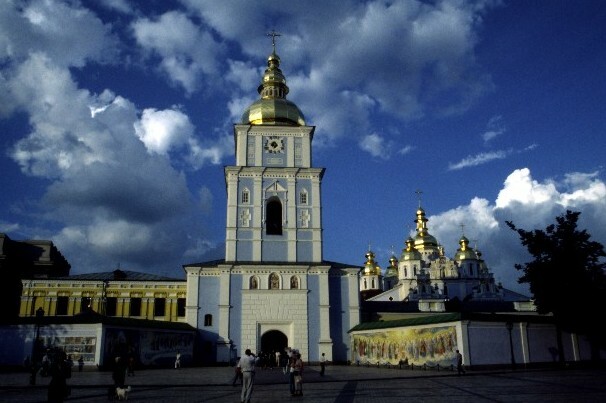 In 1620 Yov Boretsky made it the residence of the renewed Orthodox metropolitan of Kyiv, and in 1633 Isaia Kopynsky was named supervisor (both men were buried there). 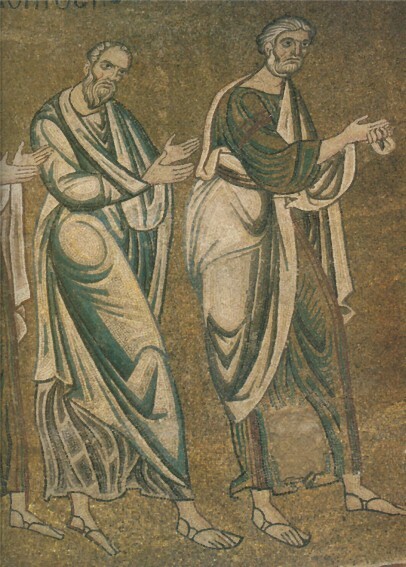 It enjoyed the patronage of hetmans and other benefactors and acquired many valuable artifacts (including the relics of Saint Barbara, brought to Kyiv from Byzantium in the 11th century and kept in a silver sepulcher donated by Hetman Ivan Mazepa, and an iconostasis funded by Hetman Ivan Skoropadsky). 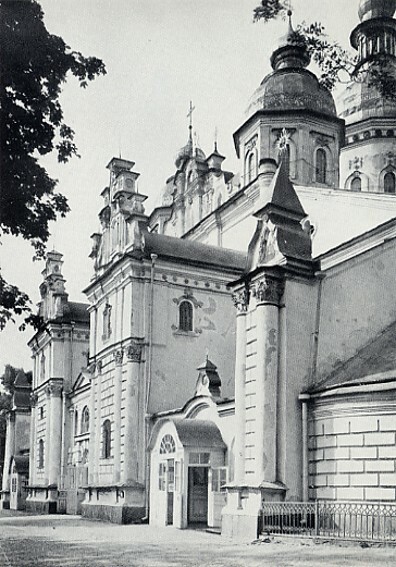 Although most of the monastery's properties were secularized in the late 18th century, in the 19th and 20th centuries as many as 240 monks have lived there, and after 1800 it served as the residence of the bishop of Chernihiv (who was also vicar of Kyiv). A precentor's school was located there, and many prominent composers (eg, Kyrylo Stetsenko and Yakiv Yatsynevych) studied or taught at the school. The main church of the monastery (built in either 1654–7 or 1108–13) was an important architectural and cultural monument. Originally it had three naves and three apses on the eastern side and was topped by a single large gilded cupola. 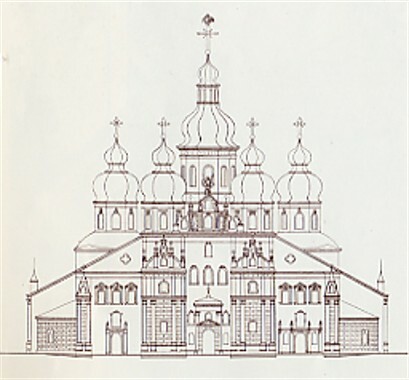 It was rebuilt in a baroque style and expanded with a new façade and six additional cupolas in the 18th century. 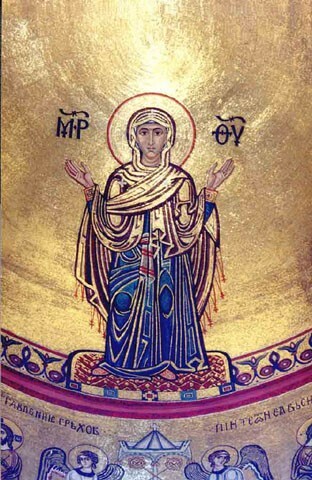 The most striking elements of the interior were the 12th–century frescoes (such as the Annunciation fresco) and mosaics (such as the Angel mosaic), probably done by Kyivan artisans (including perhaps Master Olimpii). 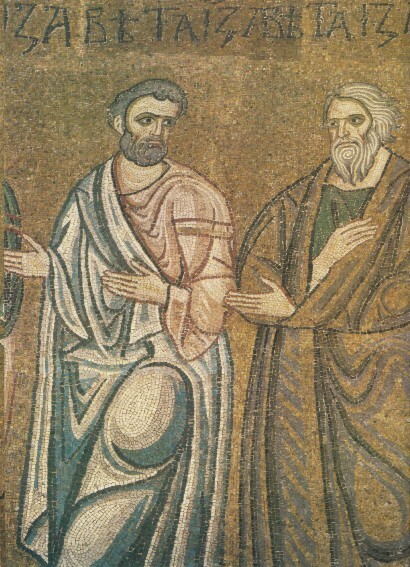 Although many of these were destroyed in the 13th to 16th century, some—notably the mosaics of Saint Demetrius of Thessalonika, the Eucharist, and Archdeacon Stephen—survived and were partially restored in the late 19th century. 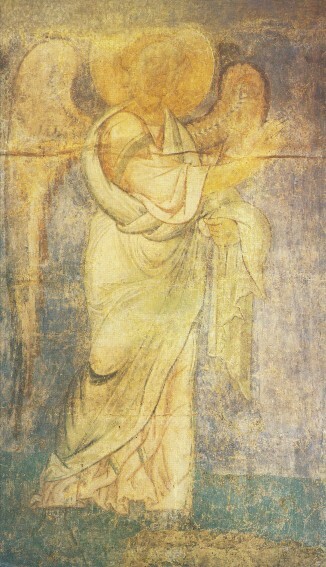 Several other frescoes were restored by Adrian Prakhov. Other buildings in the monastery complex included a bell tower and three residences and refectories. 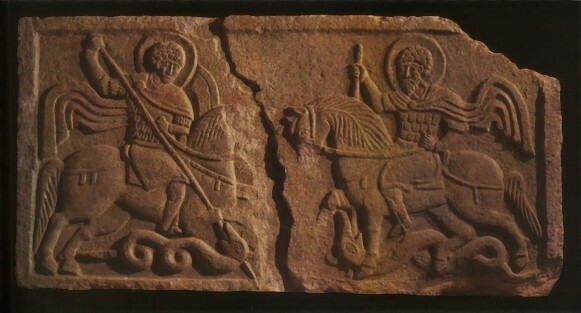 Several Kyivan princes were buried in the church, including Sviatopolk II Iziaslav. 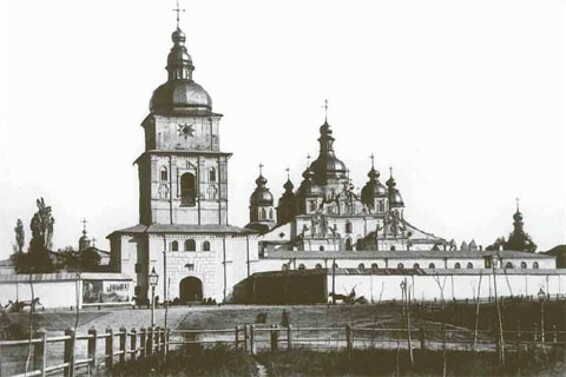 After the Soviet seizure of power the monastery was closed, and in 1936, during the Stalinist antireligious campaign, the main church was demolished by the authorities. (Photo: Ruins of Saint Michael's Church, 1936.) Before the church's demolition, some of its art works were removed and deposited in the Tretiakov Gallery in Moscow or stored at the Saint Sophia Cathedral. The items at the cathedral were seized by the Nazis during the Second World War and taken to Germany. There they fell into American hands at the end of the war and were ‘returned’ to Moscow. 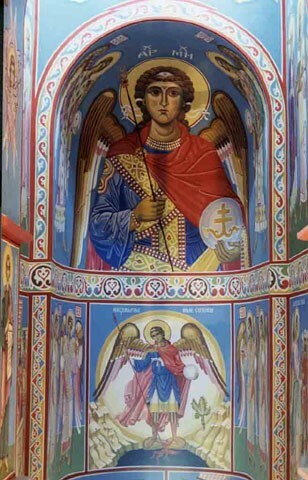 The reconstruction of the Saint Michael’s Church began on 24 May 1997. 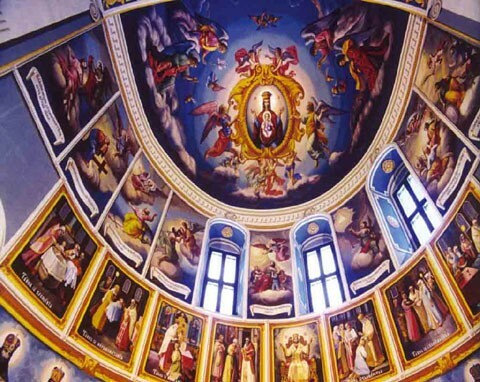 It was officially opened on 30 May 1999 (photo: restored Saint Michael's Church), but the interior decorations, mosaics, and frescoes were not completed until 2000. 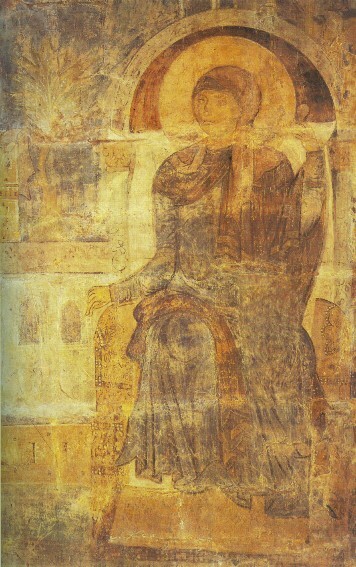 Subsequently (2001 and 2004), 18 of 29 art pieces in Moscow from the original church were returned after years of discussion. 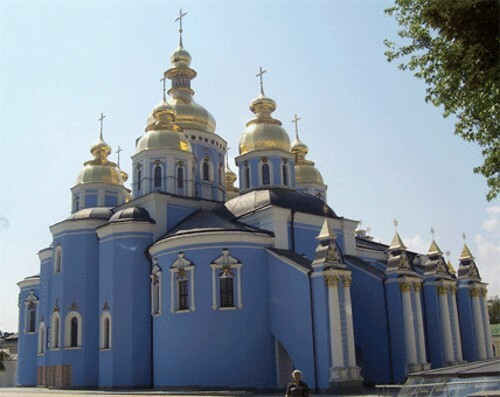 The monastery was officially ceded to the Ukrainian Orthodox Church-Kyiv Patriarchate.